Ginseng Chicken Soup - Healing Food With a Kick! What could be better than Chicken Soup? Ginseng Chicken Soup! All over the world, each culture has an interpretation of chicken soup – at least 25 countries offer versions, and you must try this Asian specialty. Why do people love ginseng chicken soup so much? I personally love the taste and benefits of healing that it offers. But, is it just a placebo effect? I doubt it, but you can be the judge. Chicken soup has gained its following due to its reputation as a remedy for colds and flu and a lot more. It’s truly a comfort food that combats illness! In Asian countries, they add the traditional Chinese herbs to kick it up a notch for super-charged healing. Korea is known for its Samgyetang – their specialty of ginseng chicken soup. It is considered an energy food if you are feeling sluggish, weak, or tired. Samgyetang is even traditionally more widely used in the hot, hot summer time. Koreans will eat the soup to strike a balance of the heat inside themselves with the outside temperature. As I’ve heard, there are so many famous Samgyetang restaurants in Seoul. It’s on my wishlist, so when I make it to that city – I’ll do my own tastings and report back in with a future article. The Chinese love soup and are very well known for their medicinal herb soups. There are so many varieties and they actually use it as medicine. 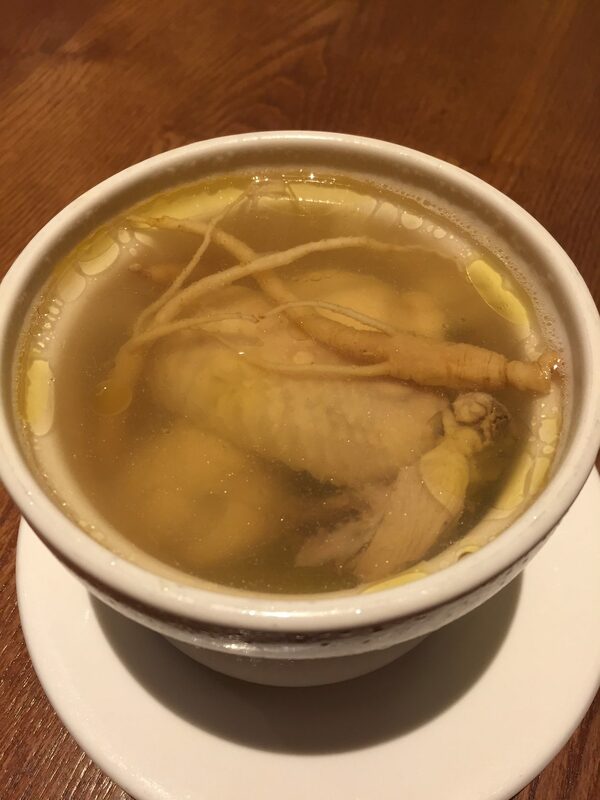 The name of ginseng chicken soup in Cantonese is translated as yan sum gai tong. Slowly cook the chicken with ginseng and if you want, add only a few other ingredients or nothing else in order to remain a purist. The soup is basically a low-fat food. After cooking you can refrigerate the soup to skim off any layer of congealed fat from the top. Make sure the soup is hot so you feel it is going down. Enjoy the chicken meat that will easily fall off the bone. The broth has the bitter medicinal taste of the ginseng – which is lovely. 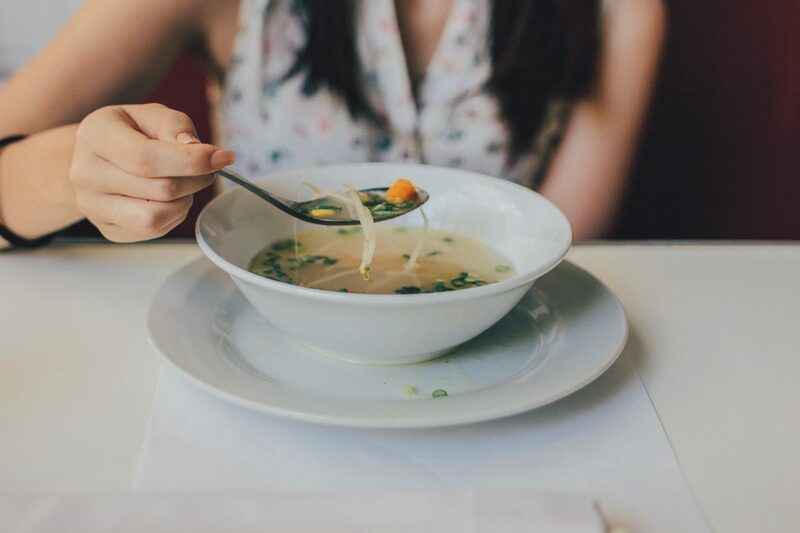 Have a side bowl of rice and slip some in the soup for an extra boost. This is healing at its finest. I share plenty of tips and discoveries from my world travels on my socials too – where I microblog daily!